"These are charming, wonderful, horrifying, funny and, most of all, well-crafted stories." " 'The Last Photon' is a jewel. A meditation on distant gods, distant stars - expertly narrated." " 'The Crystal' is a story of loss and betrayal with that ethereal, otherworldly quality other stories strive after but fail to reach." " 'Barnegat Inn' is a sort of weird tale in the mode of that bygone zine, complete with spooky mysterious fog ... the sort of sufficiently advanced stuff that's indistinguishable from magic." " 'Worms of Titan' is a near perfect science fiction adventure in the classic '40s pulp vein." I am a fiction writer living in Chapel Hill, North Carolina. This site contains a selection of my published works of fiction, including short stories and novel excerpts. Also included is a bibliography of my published work and a blog of musings near and far. Had a great time reading and signing books at Dog-Eared Books on Saturday, March 9, 2019. Plus, I got to do my first-ever Facebook Live event! My anthology, A Betrayal and Other Stories, was released this May by Rogue Star Press. Kirkus review of A Betrayal and Other Stories. 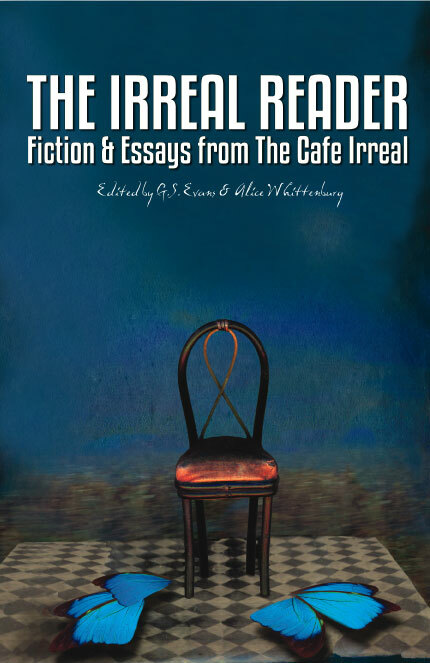 Alice Whittenburg, Coeditor of Cafe Irreal, a journal based in Europe devoted to irreal literature, has published a review of my anthology in their Year of Reading at the Cafe Irreal. Book reviewer Carol Kean has published a review of A Betrayal and Other Stories. My flash fiction "Ariel" was broadcast on the AntiSF Radio Show: Aeria this April. Four of my short stories have been translated into Vietnamese and appear on the Vietnamese literary website Tien Ve. "Happiness," "The Bridge," "The Vulture," and "The Room At the End of the World" can all be accessed here. Traits of a writer. Last month I talked about Talent. This month . . .
Hard Work - Write every day (or edit what you've written). And read, read, read, both the good and the not so good, as much as possible. Everything you can get your hands on. Flyleaf Books, Chapel Hill, NC. August 14, 2018. 7 PM. Chapel Hill Public Library, Chapel Hill, NC. November 28, 2018. 7 PM. Park Road Books, Charlotte, NC. December 2, 2018. 2 PM. Dog-Eared Books, Raleigh, NC. March 9, 2019. 2 PM. These nineteen stories span the literary genres of magical realism, horror, and science fiction. Through them we are taken on a journey, an examination of the crossroads of life. As the narrator of "In the Garden" deftly puts it, "The world is wonderful and full of magic. He who does not believe it so is dead." In the title story, "A Betrayal," a doctor travels into the countryside to help a young patient, only to deliver a diagnosis with which the family vehemently disagrees. The peculiar narrator of "Sedgefield's Diary" recoils in horror when he discovers that the hourly diary he keeps has taken on a life of its own and now threatens his very existence. The bereaved wife in "The Lake of Flies" takes matters into her own hands when she learns the truth surrounding her husband's death. In "Barnegat Inn," a strange visitation becomes the background for a poignant recitation on the nature of time. The themes of loss and betrayal between rival siblings are explored in "The Crystal," a story pulsating with an ethereal, otherworldly quality. And in "A Journey Through the Wormhole," a decades-old feud between rival scientists threatens to upend a scientific revolution. The Cafe Irreal: International Imagination, a pioneering web-based literary magazine, first went online in 1998 with the intention of publishing a type of fantastic fiction most often associated with writers such as Franz Kafka, Kobo Abe and Jorge Luis Borges. To this end, it has published more than 250 authors from over 30 countries. In the course of the past fifteen years, it has also seen its editors nominated for a World Fantasy Award and been named by Writer's Digest as one of the Top 30 Short Story Markets. In this anthology, Edited by G.S. Evans and Alice Whittenburg, Guide Dog Books presents a selection of the fiction and essays from The Cafe Irreal that take us most definitively into the realm of the Irreal. These include pieces by Diploma de Honor Konex winner Ana María Shua (Argentina), Michal Ajvaz (winner of the Magnesia Litera prize in the Czech Republic), Pulitzer Prize winner Charles Simic, and Pushcart Prize winners Bruce Holland Rogers and Caitlin Horrocks. My Pushcart-nominated short story "A Betrayal " is included.